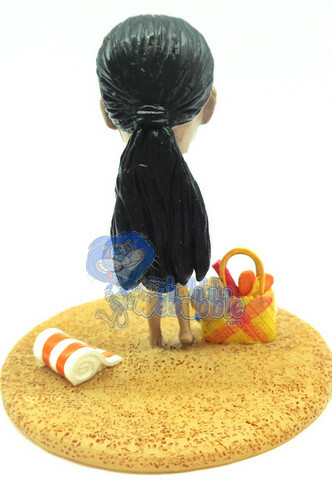 Our new Premium Line, this custom bobble head doll is a female at the beach. 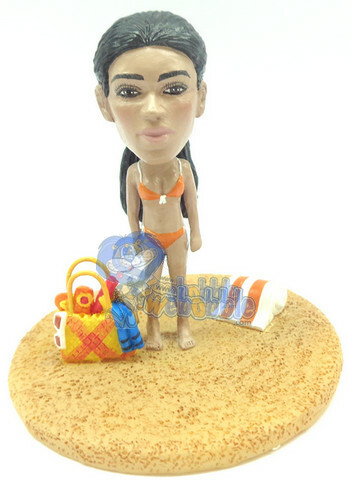 She is dressed in a bikini on the sane. By her feet lies a rolled up towel and a bag with all her goodies. The detail sculpted is bright and vivid.